than 150 quality labels worldwide. The small stickers with green leaves, radiant suns or blue flags are displayed at hotel entrances, tourism offices or at the entrance gates to camping sites. They designate tour operators, beaches, nature reserves, indeed entire regions. 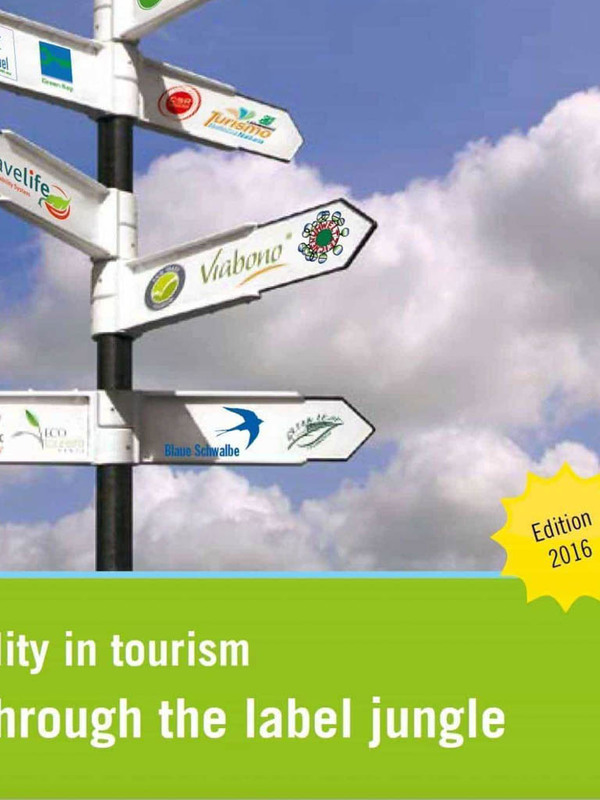 A broad spectrum of tourism offers is being awarded quality labels for a wide range of different reasons. But how to penetrate this mist of labels? visited. By using this tool you will actively contribute to the sustainable development of tourism, from the moment you book your holiday. Opppppssss… Now we also have the english version in the post… Sorry for this mishap. Please can the English version be included here – you have put in the German version twice!